Once upon a time there were hundreds of children who truly wanted to belong to a club with "no adults allowed". This club would be fun, exciting and entertaining all at once. 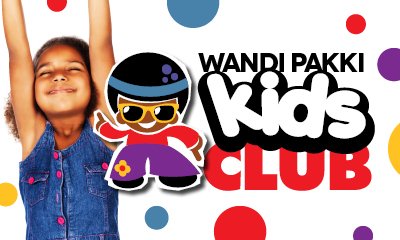 And so they joined such a club and they could boldly say "I am a WANDI PAKKI". © Copyright 2017 Wonderpark. All Rights Reserved.